Discovered THE coolest little pub on Vancouver Island called the Stonehouse Pub. As you can see by the following pictures, it is buried in among BC’s trees and shrubbery. Michael and I were tipped off about this place as we arrived in Swartz Bay and were lining up to disembark the ferry. I was looking at my iPhone and remarked, aloud, that there should be a Pub Finding App. As it happens one of the crew overheard me say this, and helpfully recommended this place. It’s our new favourite on the Island. The food was delicious. The beer beery. The surroundings, absolutely amazing. Two different patios, lush greenery all around. Loved it enough we were happy to go a second time and invite friend Bonnie with us. We sat outside for hours, despite the chill in the air. We Albertan’s are hearty. It was April. Things were green. It wasn’t raining. We WILL sit outside. The Stonehouse Pub, complete with tenant that lives upstairs. YES! Just like Coronation Street! (Without the street). 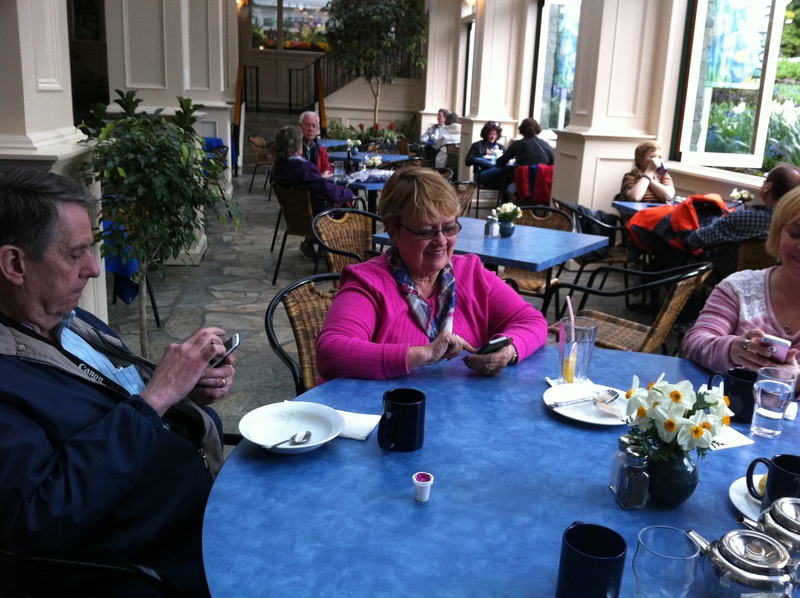 We were sitting on one patio, and this is a picture of the second patio, and side entrance. Can’t wait to see this place in the middle of summer. Bruschetta. My go-to appy to please the Canada Food Guide people who insist on vegetable intake. Bonnie and I chilling on the patio. If you know me well, you know that I am on a quest for the perfect poached egg. 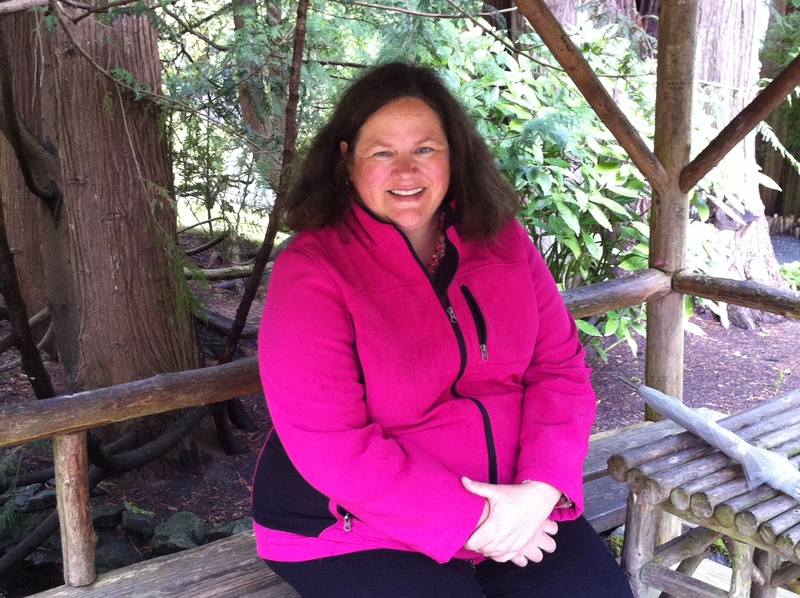 Friend Leslie came back from BC shouting the praises of the 3rd Street Cafe in Sidney. Michael and I went. Three times in one week. Each time? The PERFECT poached egg. You are looking at the PERFECT poached egg. A little poke in the yolk, and we had oozy goodness for toast dipping. This place got a very high rating on Urbanspoon. 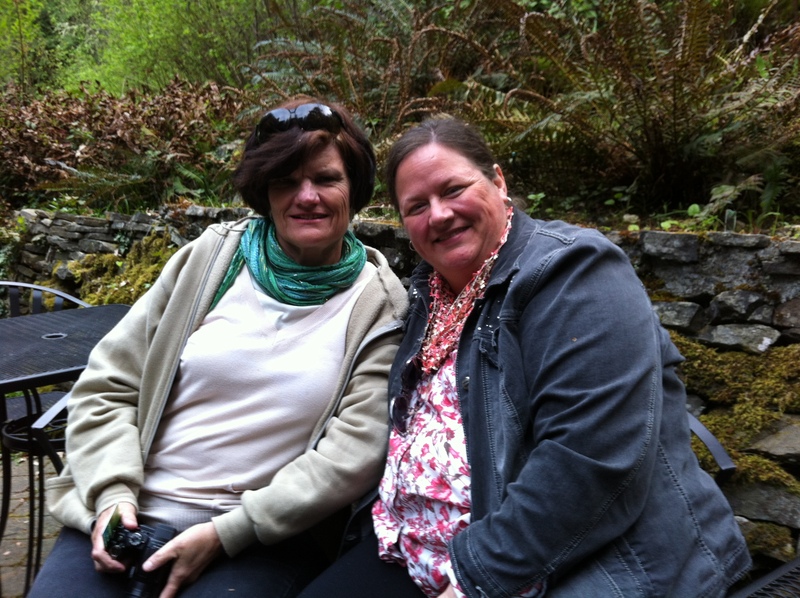 It did not disappoint us and was one of the highlights of our culinary adventures in BC. It was raining this evening, and off to the right, you can see the tents he set up. Tents for two. Lucky for us, one of the tents were available. It was cozy warm for the space heater. Ambiant with the rain pitter-pattering on the tent. The food was outstanding. The price shockingly reasonable. It was a special evening. Back in Edmonton, Earls makes Michael and I happy and nostalgic. Despite its modern look, it still takes us down memory lane every time. They are reliable, consistent and always make us feel at home. A few weeks ago we were invited over to Earl’s to sample a few of their new food and boozy items. We had a great time, and love the enthusiasm and hospitality of chef Rui, sous chef Riley, manager Jessica and server Rachel. And honestly, if you are thinking of a career in the food industry, think of Earl’s. I am always impressed to hear how they treat their staff and happy they promote from within. 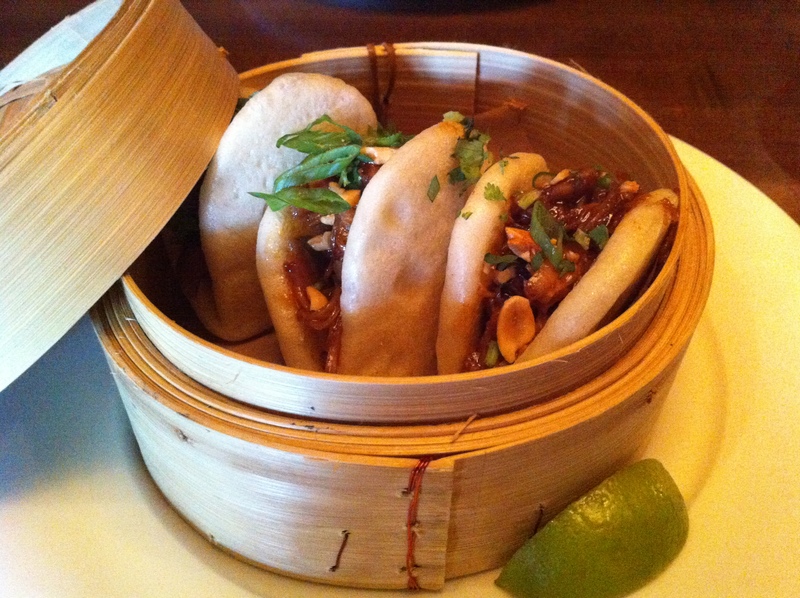 BBQ Pork Buns. Adorable and delicious! My ribs. Go away. My ribs. NOM NOM NOM NOM NOM. 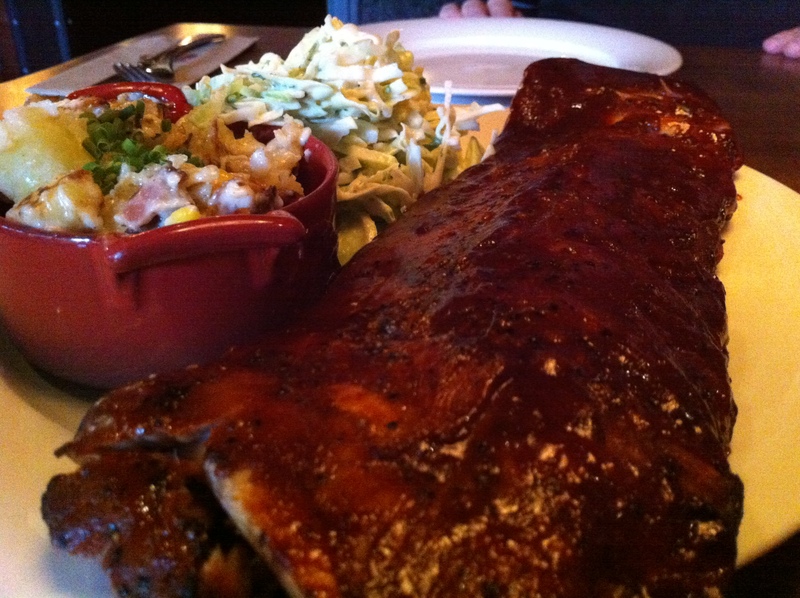 I’ve never enjoyed ribs so much in my life. These were succulent. Messy to eat. Definitely not first date food. 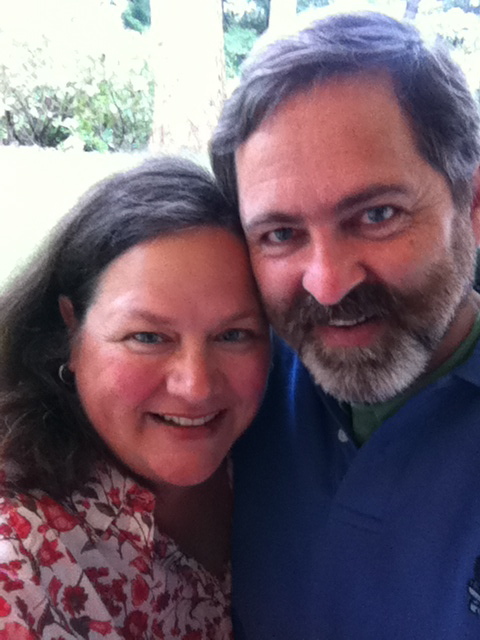 But definitely 28 years together food. 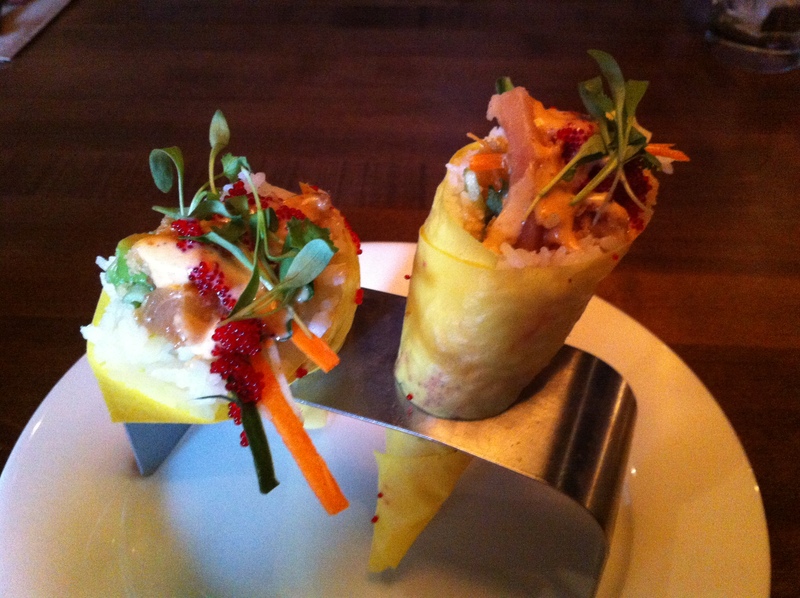 Crispy Tuna Sushi Cone. My kind of sushi, which means, if you have textural issues, you will be able to eat this and love it. The Mad Hatter. Vodka, pear, black tea, Kaffir lime, coconut water. A little dry ice for MYSTERY and EXCITEMENT. 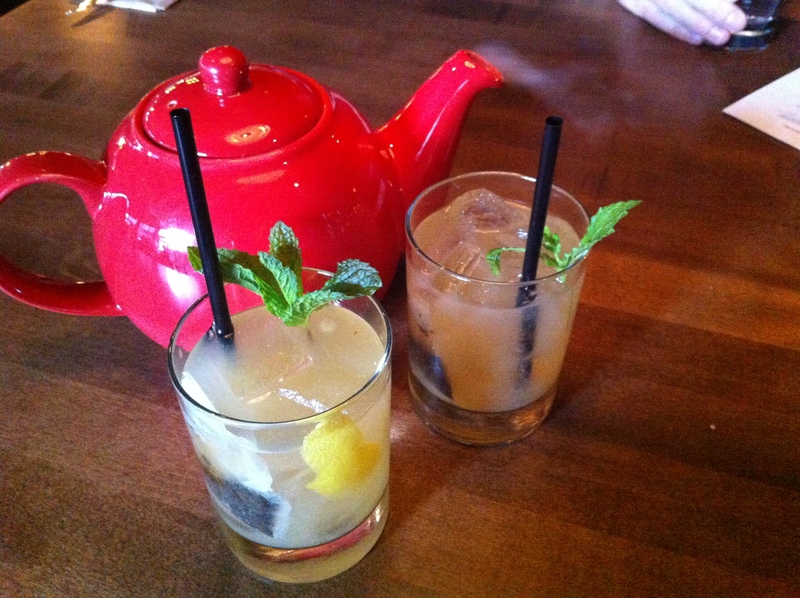 It was icy cold, refreshing and perfect for patio season. Yet you can still look like a teetotaler. The BEST poutine. The BEST steak frites. Their prices are starting to rise a bit, but even then, probably the most economic yet perfectly cooked steak in town. Steak frites with peppercorn sauce. Yum. 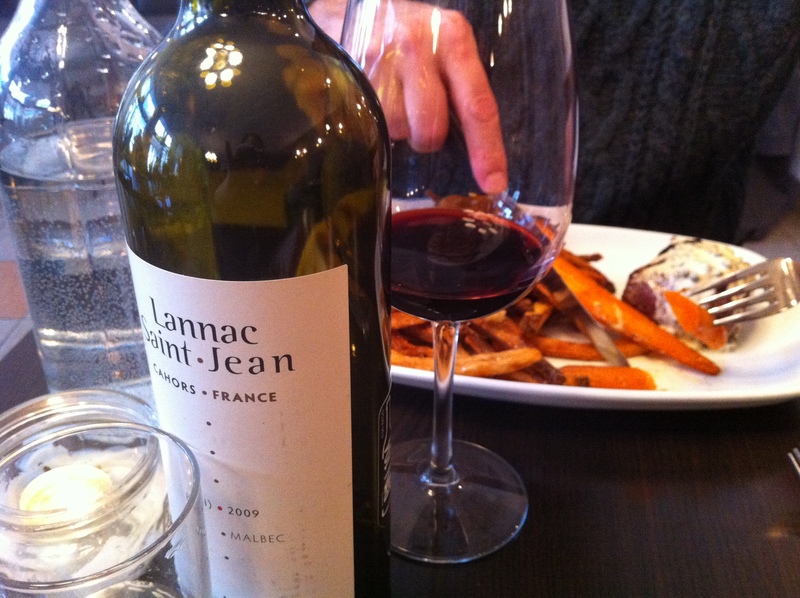 The wine menu is decent, and that there bottle of Malbec made for a perfectly relaxing evening. 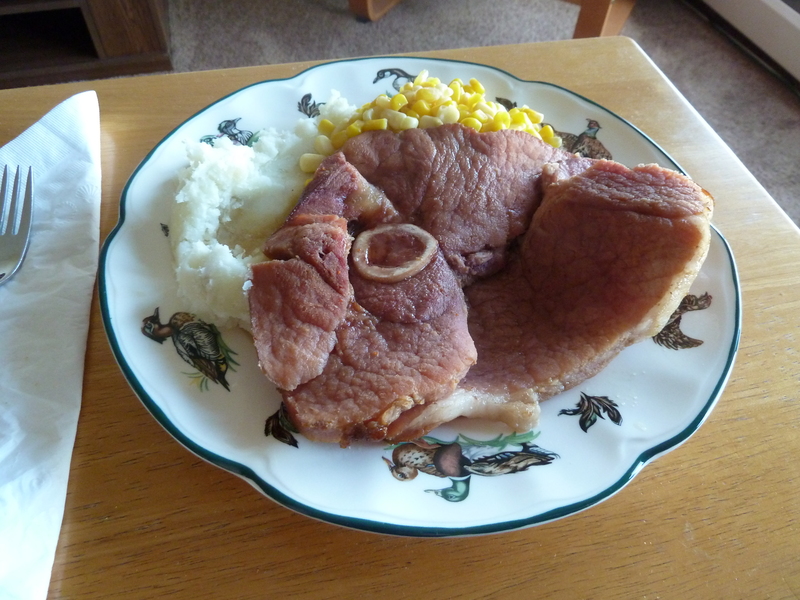 That’s a ham steak. Served with corn and mashed potatoes. There is nothing else to say. So shush. Don’t judge. 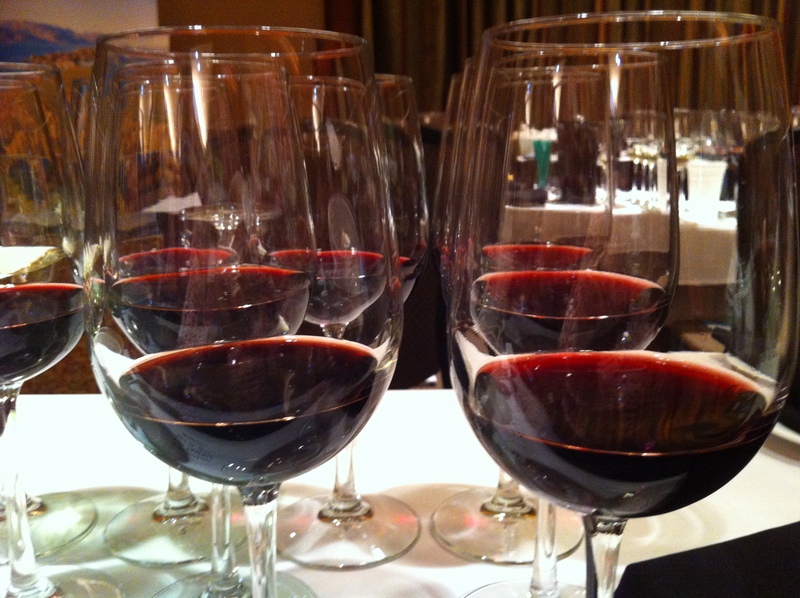 Very lucky and grateful for the opportunity that presented itself by the BC Wine people. Wine aficionado and friend Keith and I went, and enjoyed a brilliant afternoon of blind wine samplings – comparing BC wines against their global counterparts. (I reaaallllly enjoyed it because I don’t spit out my samplings – tee hee). 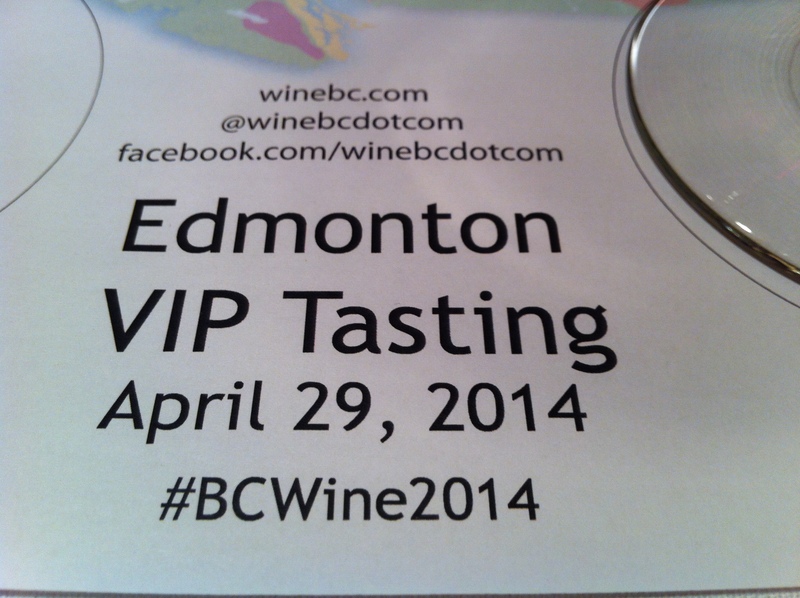 Learned quite a bit at this event, mainly because Edmonton’s famous wine expert Gurvinder Bhatia (@edmontonwineguy) was in attendance and generated some informative commentary/discussion. If you are into British television, you may have seen Broadchurch. Well, Broadchurch, is English. And apparently the American’s don’t understand English, so they had to remake Broadchuch for the American audience. And they were doing this in Canada. In Sidney. 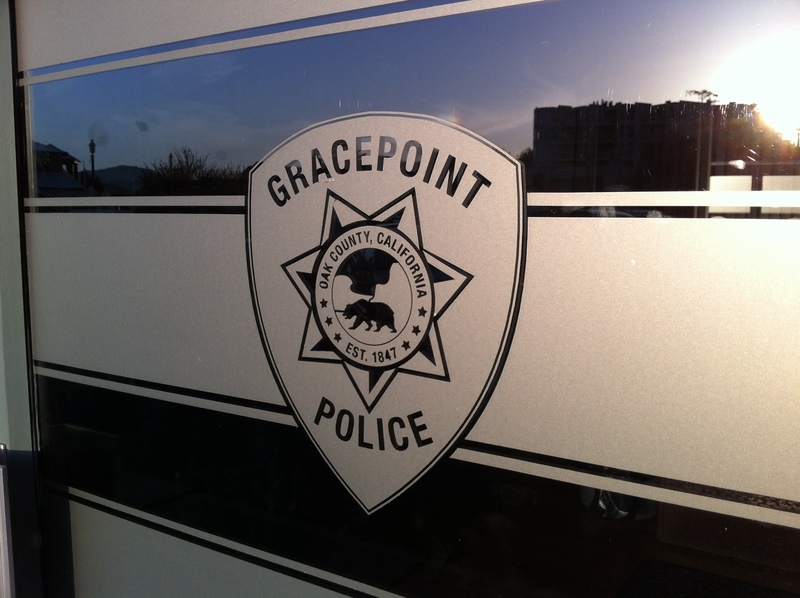 So here is your sneak preview of Gracepoint. 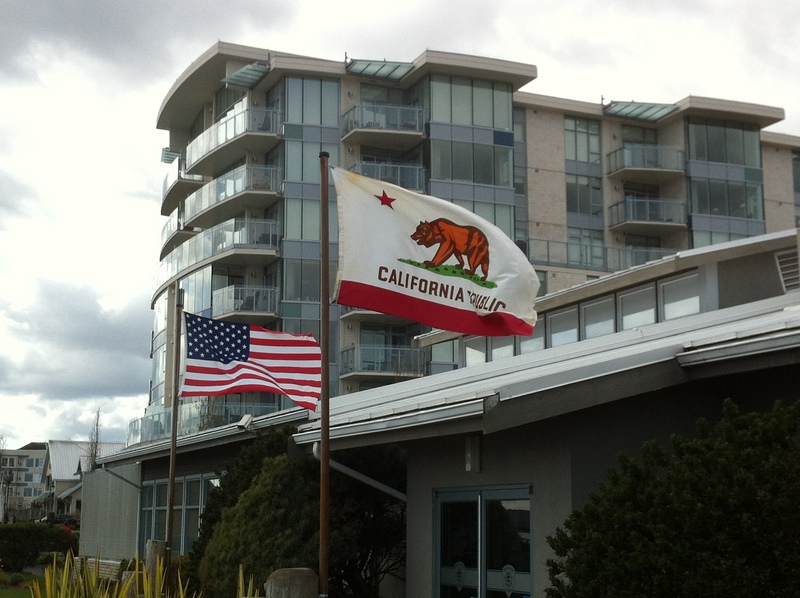 A bit of a surprise to see the American and Californian flag flapping over what used to be Mineral World in Sidney BC. 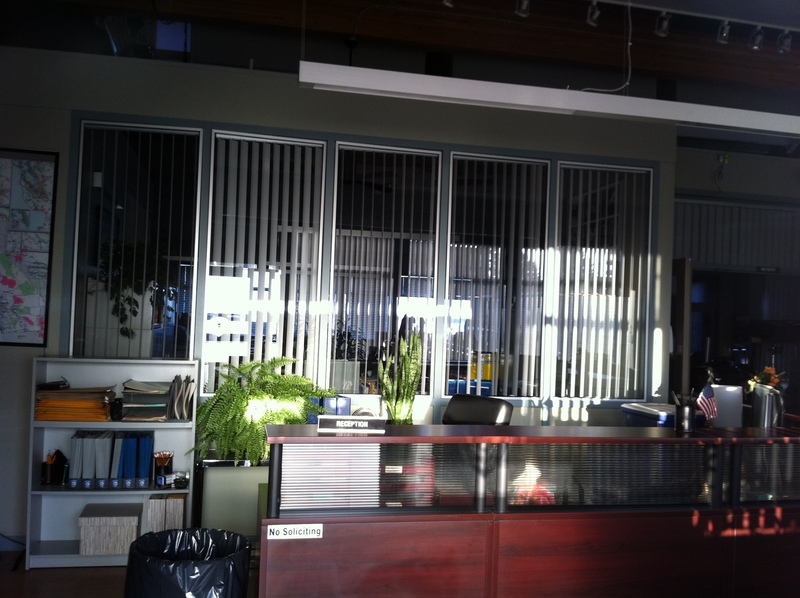 Inside the Gracepoint police station. We were lucky enough to see David Tennant (from afar), and watch a few takes. The security staff surrounding the set were friendly and happy to explain what was happening and shush us up when the camera was rolling. We met up with some crazy David Tennant fans who were not shy about taking pictures of him. I have a few I took myself, but I was shy and the picture quality sad. So you’ll just have to take my word for it that I saw this Dr. Who icon live and in person. He’s tall by the way. Really tall. 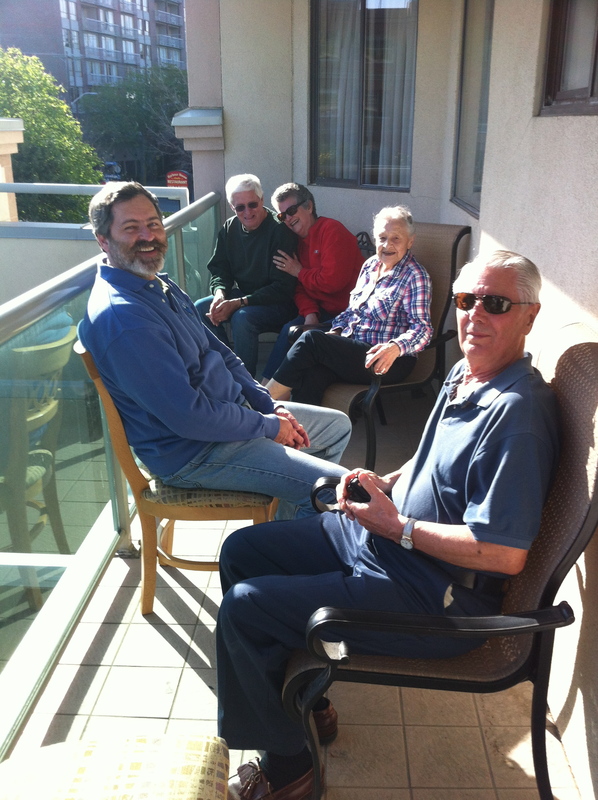 Soaking up some April sunshine on the patio. Our techno savvy family/friends from the USA. They speak English by the way. 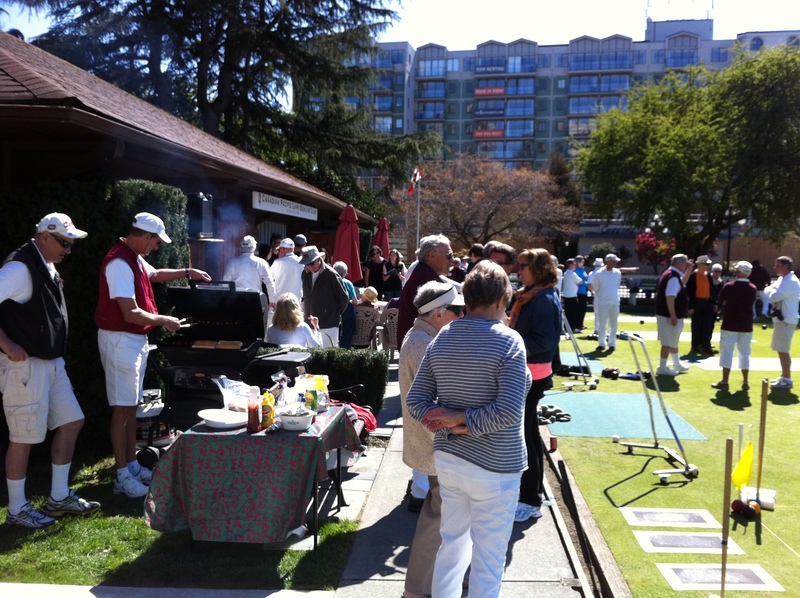 Lawn bowling/hot dog eating friends from Victoria. And other than my quest for the perfect poached egg, I am always in the pursuit of natural beauty in flowers. 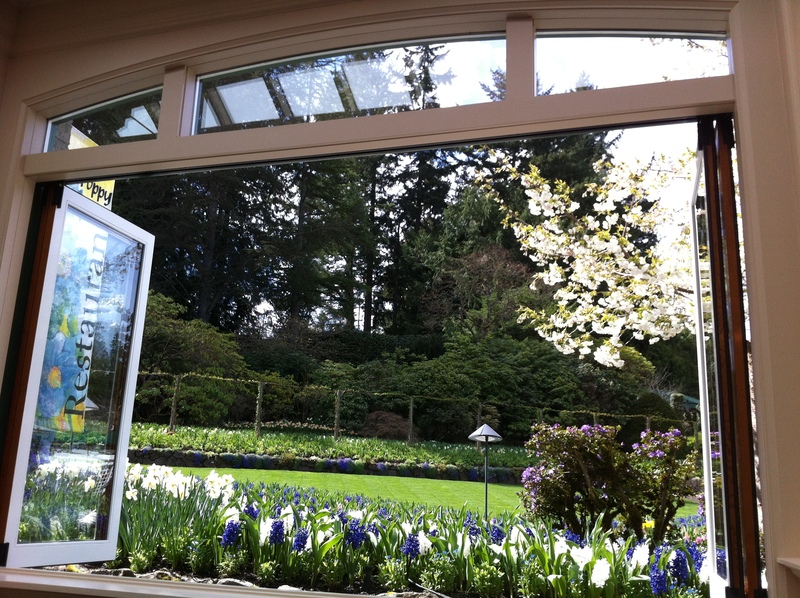 Michael’s and my favourite place in the world is the beautiful Butchart Gardens just north of Victoria near Brentwood Bay. Our little game is to arrive just at closing time, which gives us an hour to view the gardens with no one around, and then wait until we are politely asked to leave. 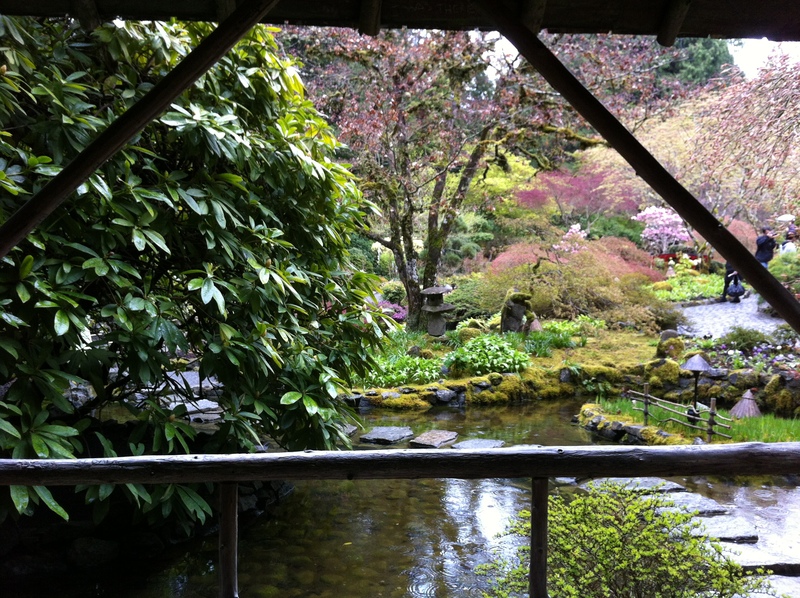 A view from our tea spot. My favourite bench in the gardens. The view from my favourite bench in the gardens. So there you have it… a hodge-podge of things that make me happy. Nothing extravagant or expensive. Just simple things – good food, friends, family, flowers and a sense of fun.